Hemidesmus indicus is a perennial, fast-growing thin creeper vine that twining on shrubs and trees. The leaves are simple, opposite, variable, elliptic-oblong to linear-lanceolate, variegated, and white above and silvery-white pubescent beneath. The stems stiffen and become woody over time, and the bark varies in color from dark red to rust to brown. Roots are woody and fragrant. The blooms are greenish purple, crowded in axillary cymes in small compact clusters. Fruits are paired, cylindrical, pointed, and slender. The seeds are white and covered in tiny silvery white hairs. Blossoming is usually sparse and occurs in October, while fruits mature in January. It prefers full sun to partial shade. It grows well in loam to silt-clay loam soils with appropriate humus. The soil should be slightly alkaline with a pH of 7.5–8.5. Water regularly, during the growing season. Keep soil constantly moist but never water-logged. Overwatering can cause root rot and kill the plant. During the winter season, reduce watering and only water the plant when the top inch soil to dry out between watering. 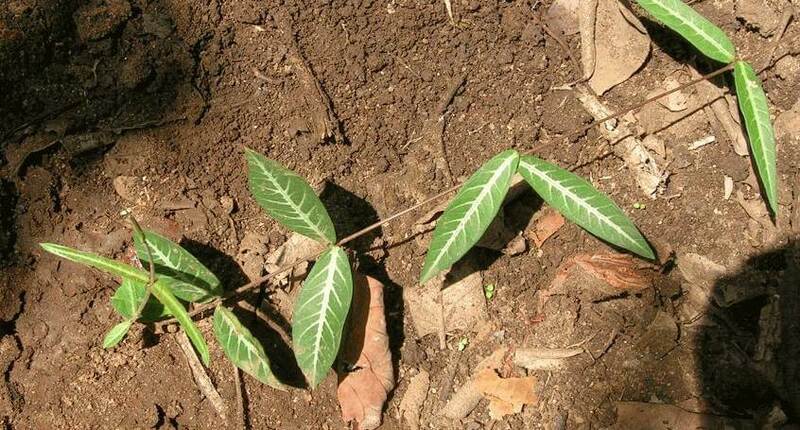 It can be easily propagated from seed, stem and rootstock cuttings obtained from more than one-year-old plants. Rootstock cuttings have better sprouting and survival rates than stem cuttings. 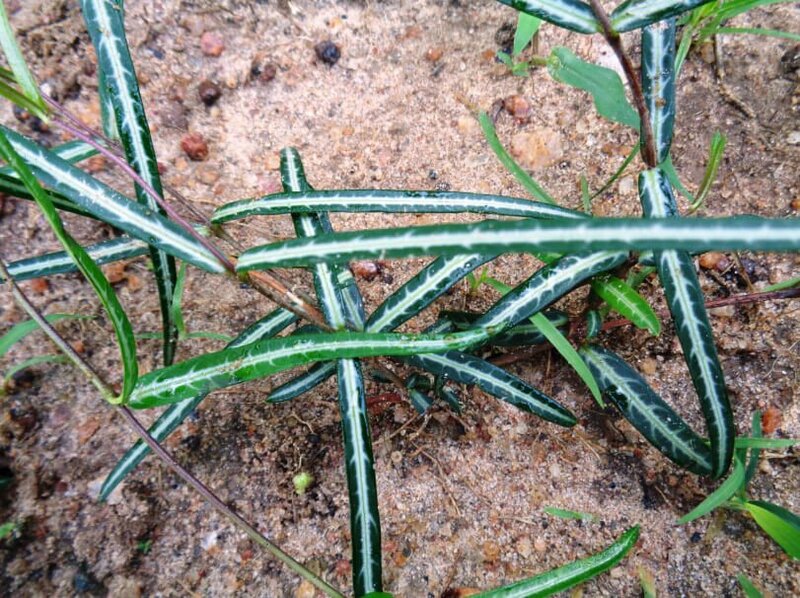 Hemidesmus indicus has several medicinal properties varying from anti-cancerous activity, chemopreventive activity, wound healing power to immuno-modulatory activity, anti-diarrheal activity, antioxidant properties, also anti-venom properties, anti-leprotic properties to diuretic activities. The root of the Hemidesmus indicus plant is demulcent, alterative, astringent, diaphoretic, diuretic, tonic, anti-pyretic, and blood purifier. It is used in leprosy, skin diseases, fever, asthma, bronchitis, syphilis, pruritus and other urinary diseases, chronic rheumatism, and leucorrhoea. It also cures eye diseases and infections when applied like kajal. The leaves of the plant are utilized for gums diseases in teeth and it is used for hair growth, hair fall and adds nutrition to it. Anantmool root powder is taken for the treatment of dysuria. It brings down the body temperature during fever and it removes scars from the skin caused due to chickenpox and injury.